Friday 15th May is International Chardonnay Day, though with the level of opprobrium that the variety seems to attract nowadays you’d be forgiven for categorising it alongside International Marmite Day (if such a things exists). Needless to say, this criticism is much misguided. True, much damage was done to Chardonnay’s reputation in the previous decade or two via the over-zealous use of new oak. The guiltiest parties tended to be those in the New World – Australia particularly – who resorted to cheap-and-fast attempts of recreating the famously rich benchmark set by Burgundy. The result was an oily, overbearing liquid that assaulted the senses more than enchanting them; more KFC than Poulet Bonne Femme. Of course, the irony was that these wines were the most affordable (read: cheapest) Chardonnays available, meaning that these confected constructions were often the first ill-fated experience of the grape by an increasingly discriminating wine public. 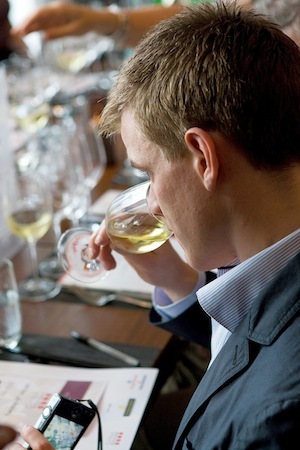 Given the benefits of time and experience, however, the wine world in general has upped its game with Chardonnay, with many – Australia included – now offering subtle and interesting versions of the variety. Below are a few Chard suggestions for May to help rekindle the love of this jilted grape. Champagne can be made up of one or all of three grapes: Chardonnay, Pinot Noir and Pinot Meunier. Blanc de Blancs – which can sound mighty pompous when said out loud in the wrong company – is Champagne made exclusively of Chardonnay, a style that is somewhat niche but revered when done well. I’m not normally a fan of the style – as fellow blogger and TheTaste contributor Frankie Cook can attest to – but this really caught my attention at a tasting a few months ago. It has the clean linear precision typical from the style but – vitally for me – the characteristically high acidity is buffeted by a luxuriously soft creaminess and touch of breadiness. 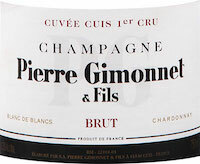 A velvety, elegant sparkler, ideal for summer and especially with seafood. I’m a real fan of Katnook Estate wines, both white and red. Their ‘Founder’s Block’ range is their stalwart line-up and, though it may look pricey to many at almost €20, is nevertheless good value for money in my opinion. Their eponymous Katnook Estate range, at €25 or so, offers a correspondingly more serious wine experience. 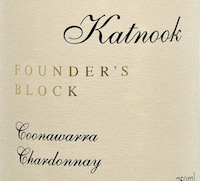 Katnook has always been quite deft with their oak, and they’re a producer I like to wheel out whenever anyone maintains that Aussie Chardonnays are over-oaked fruit bombs. The perfect example of Old World oak-use with New World ripe fruit, this has the melon, peach and subtle smoky notes leading to a slightly creamy, nicely balanced palate. I chose this wine not only because it’s delicious, but also as a contrast to the Katnook above. Yes, I paraded the latter as an example of how “Aussie Chards” have moved on from the bruising styles of old, but it’s always good to try out a good example of what they were likely trying to achieve in the first place. 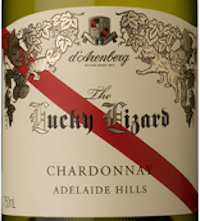 The Lucky Lizard is rich, but tellingly has a balance and elegance that belies its initial brawniness. There’s lots of New World fruit there for sure, but wrapped up in a velvety buttery richness that nevertheless doesn’t sit cloyingly on the palate, finishing instead with cool climate flavours of white fruit and a nice tingle of mineralogy. As for the name? Apparently lizards are rife in the Adelaide Hills and tend to get caught up in the harvest; luckily d’Arenberg use a gentle grape crusher that allows the them to run free before they’re pulped. Notes of reptile, anyone? I can’t help but include this left-field suggestion when talking about Chardonnay and its famous affinity with oak. One of the characteristics that oak barrels give to wine is a sort of vanillin note, so allow me a moment of indulgence to include vanilla-flavoured vodka in this column. 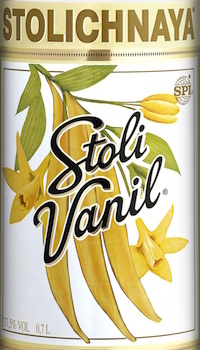 Stolichnaya, or ‘Stoli’ was the first brand to produce flavoured vodkas way back in the sixties, and are one of the few brands to use only natural ingredients in their flavoured vodkas today. So put out of your mind the acrid chemical taste of the bigger brands out there since this uses the real deal sourced from Madagascar. It can be used in basically any vodka cocktail to add an interesting twist, such as the classic Vodka Martini. Nasdarovje!